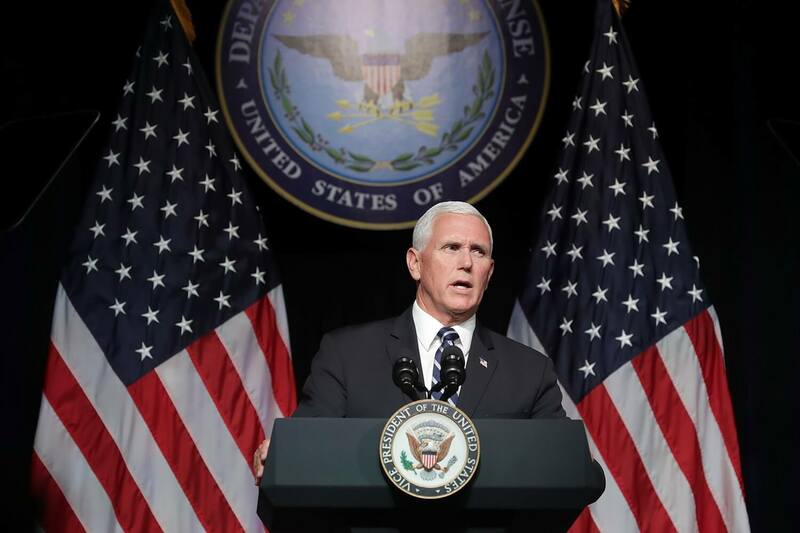 Today (Aug. 9), Vice President Mike Pence unveiled a detailed plan for the military Space Force proposed by President Donald Trump in a speech at the Pentagon. If Congress agrees to establish it, the Space Force will be the sixth branch of the U.S. military. a new U.S. Space Command, which “will establish unified command control for our Space Force operations; ensure integration across the military; and develop the space war fighting doctrine, tactics, techniques and procedures of the future,” Pence said. On June 18, Trump showed that he was serious about the Space Force by formally directing the Pentagon to create the new military branch. “We are going to have the Space Force,” he said during a meeting of the National Space Council. It’s going to take a lot more than a few grandiose speeches from Trump and Pence in order for the Space Force idea to come to fruition, though. Only Congress has the authority to establish a new branch of the military — something that hasn’t happened since the U.S. Air Force was founded in 1947. So, before we can “have the Space Force,” as Trump put it, the White House will have to convince lawmakers that the U.S. really needs it. Critics argue that Trump’s Space Force would be stepping on the toes of the U.S. Air Force Space Command, which currently oversees the nation’s military operations in space. Air Force officials and national security experts have spoken out against the creation of a separate Space Force. Meanwhile, others have argued that it makes sense to form a separate military branch specifically for space. “It is becoming a contested war-fighting domain, and we’ve got to adapt to that reality,” U.S. Secretary of Defense Jim Mattis said in his opening remarks before Pence’s speech.